Jammu: A video of Army jawan Aurangzeb, which surfaced on Friday, shows suspected terrorists asking him about the encounters he was part of, his postings and responsibilities, officials said on Saturday. Aurangzeb was abducted at Kalampora when he was on his way home in Rajouri district for Eid. His body was found at Gussu village, about 10 km from Kalampora, in Pulwama district on Thursday night. He was shot in his head and neck, police said. 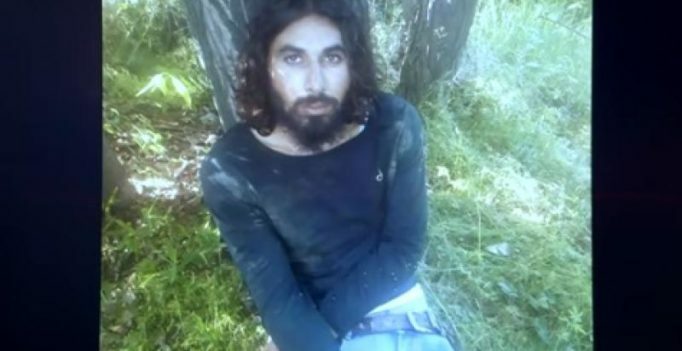 In the 1.15 minute-video, believed to have been shot in a forest area moments before he was killed, Aurangzeb, in a pair of blue jeans and a T-shirt, is being asked by suspected Hizbul Mujahideen terrorists about his role, duties, posting and encounters, an officer said. Terrorist: Where do you live? Aurangzeb: Pulwama… I am a soldier. I get on-post duty. Terrorist: Were you behind Mohammed, Wasim and Talha Bhai’s encounter? Did you mutilate the body? Aurangzeb: No, I had injury in hand. Terrorist: What caused the injury? Terrorist: Who insulted (defaced) terrorists’ body? Aurangzeb: Happened due to firing. Terrorist: Who insulted the three? Aurangzeb: Yes, there was firing. Terrorist: After that the terrorists were martyred? The trooper, who was said to be a “buddy” of a company commander, belonged to 4 Jammu and Kashmir Light Infantry and was posted at the 44 Rashtriya Rifles camp at Shadimarg in Shopian. The Army personnel had stopped a car on Thursday morning and requested the driver to drop Aurangzeb to Shopian, officers recounted. When their vehicle reached Kalampora, terrorists stopped them and kidnapped Aurangzeb. In May last year, a young, unarmed army officer was kidnapped by terrorists while he was attending a family wedding. His bullet-ridden body was found the next day. Ummer Fayaz, 22, was a Lieutenant of the Rajputana Rifles and had joined the army five months ago.